Are you ready to enjoy good German beer and cuisine? In September and October 2019, there will be a number of places to enjoy Oktoberfest in Massachusetts. Unsurprisingly, many of these fall German festivals are centered around Boston. If you are looking for a good Boston Oktoberfest, look no further than the Samuel Adams brewery, home to one of America’s most popular Octoberfest beers. along with at least 9 authentic German Oktoberfest beers on draught. There has been an annual Boston Oktoberfest at The Beehive, a Bohemian eatery and bar in Boston’s South End. An annual event that has been going on for more than five years. It is a benefit for South Shore charities with Oktoberfest beer, German food and (after 9 PM) bar games with live DJ and karaoke. Advance tickets are $20. Must be 21+. Location: Tirrell Room, 254 Quarry St., Quincy, MA. Outdoor oktoberfest on Saturday from 1 to 6 PM to benefit the family of Chet Flattery. It will have German food, live entertainment, refreshments and activities. Advance tickets are $20. Littleton and Westford celebrate Oktoberfest at the Nashoba Valley Ski Resort. 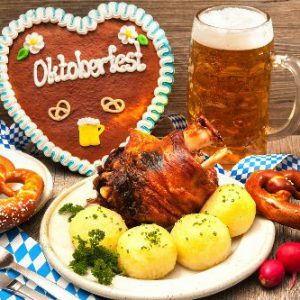 This inaugural event features an authentic “Munich-style” Oktoberfest complete with Bavarian beers, food, German music, games, contests, and lots of fun. It starts Friday at 4:00 pm, Saturday at 12:00 pm, and Sunday at 12:00 pm. Highlight the day by visiting both the domestic and international beer gardens. Littleton resident get in free on Friday. Tickets are $5. Foods include bratwurst, baked pretzels, baklava, and pancakes. 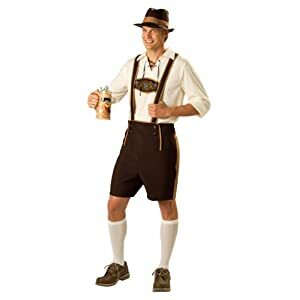 Oompah bands, polka bands, folk dancers and more include the Mad Bavarian Brass Band, Double Eagle Otoberfest Band, Jolly Kopperschmidt, Its “Daddio’s”, and the Bavarian Hofbrau Band. 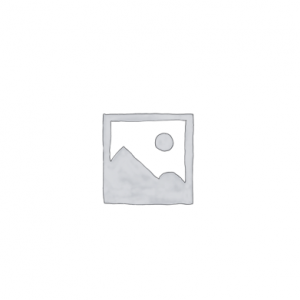 Location: 79 Powers Road, Westford, MA 01886. German food and beer under the big top at Turner Hall Pavilion. German music provided by “The Mad Bavarian Brass Band”. Activities include the horseshoe tournament, face painting, games, races and moonwalk. Free admission. Hours are from noon to 5 PM. Location: 60 Branch St., Clinton, MA.